In January of 2017, Sean joined the Corporate Fleet Services team as Vice President of Sales. He brought with him over 10 years in private aviation experience and specializes in both domestic and international sales. Sean’s interest in aviation began at an early age. By the time he completed high school, Sean earned his private pilot license and soon after began his career in the aviation industry. He has held a wide variety of positions ranging from line service and customer relations, to charter services, and conducting OEM sales and demonstrations. With each challenge met, and a new one presented, his responsibility and knowledge grew making him uniquely qualified to provide valuable consultation and advice to clients. Since his transition to sales in 2009, he has served clients around the globe with unwavering commitment and integrity. 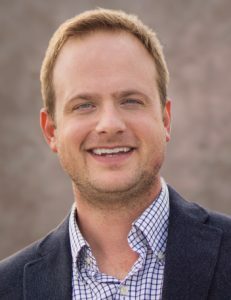 Sean holds a degree in Business Management from the Georgia Institute of Technology and belongs to AOPA, NBAA, GBAA, and CJP. Sean has in excess of 4000 hours in the air, is type rated in the C525 series, and has flown thousands of hours in the PC-12 and King Air turboprops. Sean looks forward to applying the same passion and drive that led him to aviation, to helping clients find the perfect aircraft for their unique needs.